The IAM, AFL-CIO affiliates, and American Airlines came together to deliver much-needed water and relief supplies to Puerto Rico’s working families. 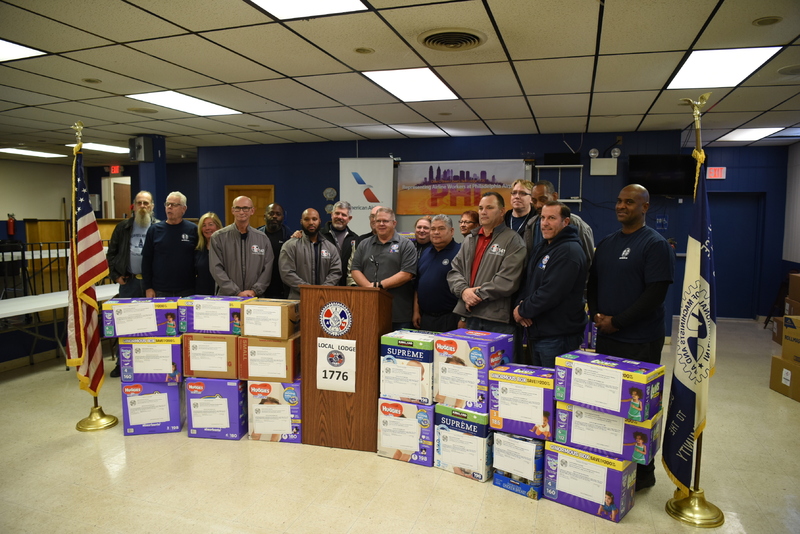 The flight departs from Philadelphia International Airport early Friday morning and the supplies will be received in Puerto Rico by IAM member and Puerto Rico AFL-CIO President José “Lole” Rodríguez Báez. Through American’s response efforts, IAM members at American Airlines have assisted affected communities with humanitarian relief, relief supplies, monetary donations, and traveling to San Juan to support recovery efforts on the ground. In addition to this flight, IAM members have been involved in other relief flights to Puerto Rico on United and Southwest Airlines. The IAM is the only union at all those airlines.